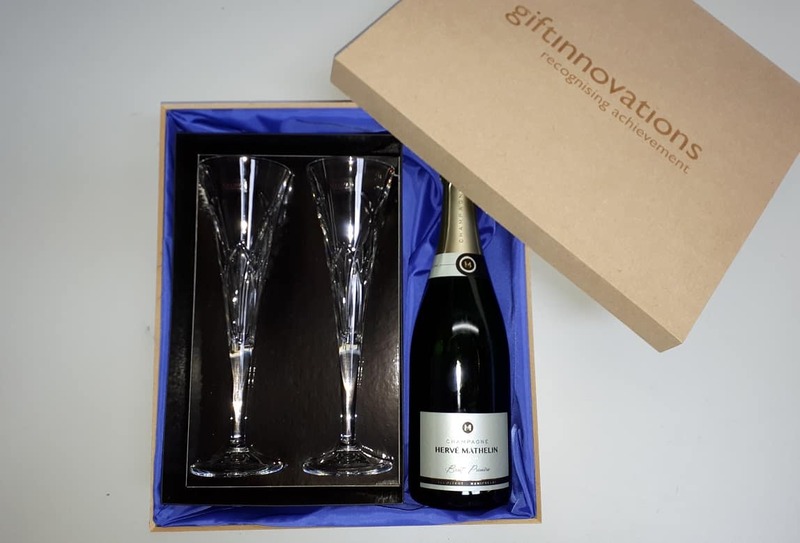 Galway Crystal pair of champagne flutes & bottle of Hervé Mathelin Champagne-Brut Première in a branded and personalised presentation box. 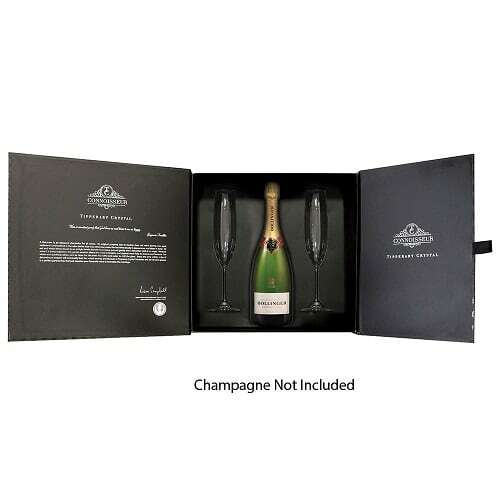 Include your logo, the name of the recipient and their retirement date on the satin-lined presentation box. 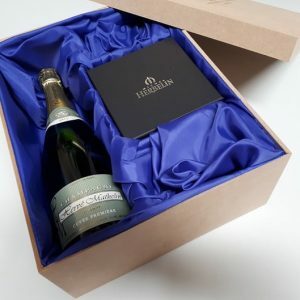 It is also possible to engrave your logo on the champagne flutes. 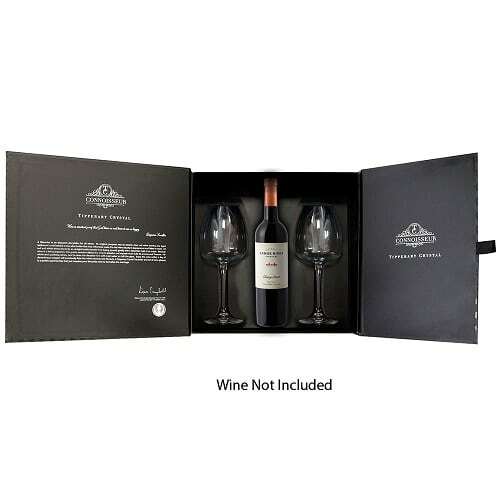 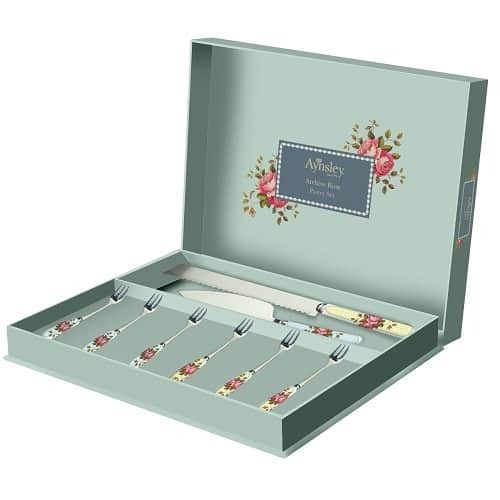 This makes a lovely gift for retirees, for visitors or for special occasions.